Contrary to popular opinion, there is more than one design of mountain bikes. They may share the build to withstand tough terraces, but mountain bikes vary depending on discipline and purposes. All mountain bikes are strong, feature packed bikes engineered to cruise through different terrains. They are common among mountain hikers, and cross-country riders who prefer strong bikes. Read our article on the factors to consider when buying a mountain bike. Highly Stable-Many all mountain bikes are engineered with full suspension to keep them stable as you ride through steep down hills and ride on the extremely challenging terraces. They are also stronger and heavier to offer additional sturdiness. They have robust tires and thicker wheels to cruise tough terrains. The wide tires also make it easier to ride on mountains albeit at slower speeds. Almost all-mountain bikes have a guide chain for precise riding and better head control. They are generally stronger and more durable. The average all-mountain bike is made of aluminium or steel to keep it strong through hard knocks and accidental falls. All-mountain bikes are often available for everyone who wishes to buy. From kids to teens, tall and short people, you can always find a mountain bike you could use for different mountain riding activities. The bikes are versatile-All mountain bikes are perfect for people who love to ride bikes across different terrains. With great maintenance, you can ride down hills; participate in cross-country rides or dirty jumping though not with the precision of specialized bikes. They bikes are tougher to control when riding through downhill terraces. Due to their full suspension systems, all mountain bikes are slow. In considering the Pros and Cons of Mountain Bikes. We look at Free ride mountain bikes are built for adventurous bike lovers who want to test their skills riding through trees, low mountains and flat cross country terraces. Free ride bikes are more or less like trail bikes, giving the ride freedom to experiment their riding skills across places they’ve never been before. They offer better versatility compared to any other type of mountain bike-Free ride bikes are made with average sized wheels, lighter statures and have features to accommodate a wide variety of applications. They have full suspension systems-Free ride bikes have on average 170mm worth of suspension. With great suspension comes the ability stability to ride the bike across any terrace you think of. They are better at ascending mountains and dirt climbing-If you would love to try out dirt jumping or mountain climbing but can’t afford a specialized bike, a free ride bike can work well. They have light frames for easy manoeuvring through the forests, mountains and hills. Free ride bikes are agile-free ride bikes are light and offer great agility to people who love riding through forested areas and terrains with curvaceous paths. Their agility exposes a rider to accidents-the light frames and agile nature means that getting an accident with a free ride bike is easier. They are generally not as durable as all mountain bikes. In answering, the Pros and Cons of Mountain Bikes. We consider Cross country bikes are the most common type of mountain bikes. They are light, strong and agile enough to get you going for long bike rides. For someone who really enjoys bike riding, a cross country bike is the perfect match. They are designed for easy control-cross country bikes feature a single suspension system for easy manoeuvring across soft terrains. They are light and have narrower wheels compared to all mountain bikes. Cross country bikes are fast-Due to their single suspension system and lighter frames, these bikes can cruise through terraces much faster than any other type of mountain bike. The require less effort to ride-Cross country bikes move faster with little exertion on the pedals thanks to their light frames and narrower wheels. They are cheap-Compared to all other types of mountain bikes, cross-country bikes are cheap. Cross country bikes are available in a wide array of sizes and designs-The cross country bike category is the largest among mountain bikes. From bikes designed for children to expensive bikes with electric batteries, it’s easy to find your ideal bike in this category. Because most cross country bikes are cheap, they tend to be of a lower quality. Cross country bikers perform poorly as the terrace become tougher. In addition, answering the question of Pros and Cons of Mountain Bikes. We need to consider Downhill bikes are engineered to do exactly what their name says. They have the speed, control and agility to manoeuvre through steep hills. Downhill bikes have a distinguished outlook. They are elongated by design, with the bike appearing to ascend on the front end. Like their all mountain counterparts, these bikes have higher suspensions. Downhill bikes are longer and lower to the ground to offer better stability-A god quality downhill bike can keep you stable at a relatively steep hill. They offer better control for cruising through rocky hills and mountains thanks to their acute angle heads. Many downhill bikes are made from strong, aluminium alloy or steel to keep them sable for long. They are often also heavier for added sturdiness. 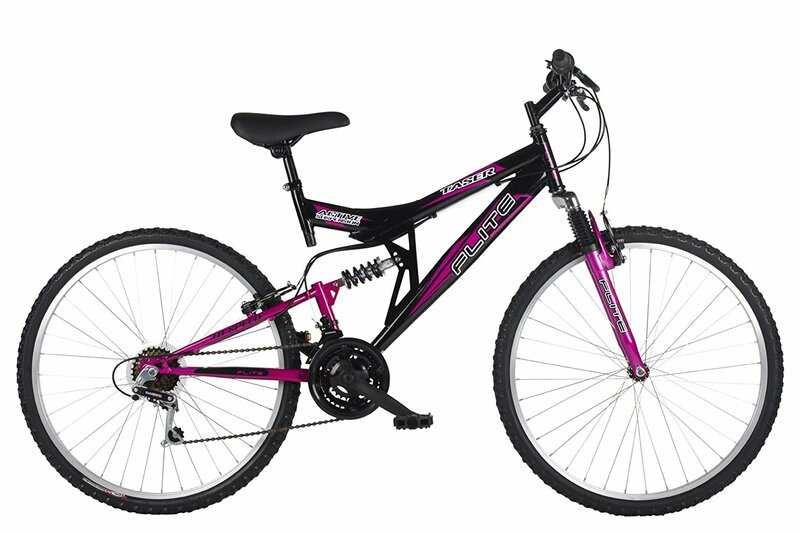 They have higher suspension that virtually all other types of mountain bikes. Their suspension can go as high as 220mm. The high suspension coupled with the presence of rear shocks give you incredible comfort as you ride through mountainous hills and slopes. Downhill mountain bikes have fewer gears to keep you focused on riding downhill. Their slack design and bulkiness makes it difficult to ride any hill or mountain using this bike. Downhill bikes are riskier to ride and requires that you invest in the best protective gear should you experience a high-speed fall. In evaluating the Pros and Cons of Mountain Bikes. Dirt jumping is more of a sport than an adventurous bike riding activity. It requires exceptional athleticism and the right dirt jump to enjoy this sport. Dirt jumping bikes have a specific set of benefits that make them suitable for certain groups of people. Dirt jumping bikes are extremely light and agile-these bikes have the perfect combination of features to give you thrills as you jump over ramps 3 metres high. They are simple in design, often customized to provide the agility needed to jump through ramps and barriers. They have high suspension on the front end to absorb shock as you land from an epic jump. The shock absorption features also make them suitable for downhill riding in rocky hills and slopes. They have fewer gears to keep them light and to allow the rider to only focus on the jump riding aspect of the bike. Dirt jumping bikes are often more expensive compared to all other types of mountain bikes. Perfecting the skills of jump riding takes time to perfect. Without proper training and protective gear, accidents from a jump riding activity can be dangerous. In finding out more of the Pros and Cons of Mountain Bikes. 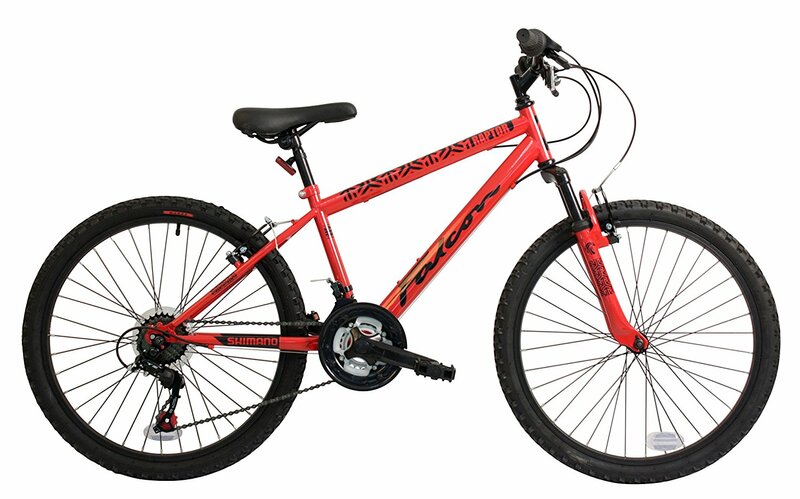 We need to consider, The Falcon Raptor’s bike in bold red and black is an aesthetically appealing, strong bike that every young boy whole love adventures will appreciate. It comes in light frames, narrow, but large wheels and strong brakes to keep your young boys safe even when they get over adventurous with speed. Extremely lightweight at 15.1kgs to make it convenient to push around after a puncture. Comes in a varied range of sizes that suit boys aged between 9 and 12 years. The bike uses the reliable V-brakes on both the rear and front ends. The Falcon is a beautiful bike that reeks of class and great workmanship. In addition to being easy to pedal, it has powerful breaks that put the bike to a halt effectively when applied. The bike further features and adjustable 250mm seat that ensures you don’t have to buy a new bike as you 9 year old grow. We will look at a second mountain bike, when answering the question Pros and Cons of Mountain Bikes. Available in black and cerise hues, this is an impressively beautiful bike. From its frame design that suspends the adjustable seat to the padded head frames, this is an ideal bike for anyone after a great price bike for all occasions. Features full suspension to keep it stable in tough terrains. The bike is strong, made of a 14 inch steel body. The bike is designed for young kids, teens and adults. Engineered with Shimano 18-speed gears and gear shifters, this is a bike mean for both in-route riding and off-road adventures. The bike is beautiful, well-assemble and versatile. We hope you have enjoyed our review of the Pros and Cons of Mountain Bikes and found it helpful and informative.